EASTON – As the local leader for Lehigh Valley Greenways Conservation Landscape, Delaware & Lehigh National Heritage Corridor (D&L) is preparing to disburse $75,000 as part of the 2018 Lehigh Valley Greenways Mini Grant Program. The online application period is now open and runs through March 2 at 4:00 p.m.
Lehigh Valley Greenways mini grants are intended to inspire collaboration to carry out ready-to-go, single-year projects that protect and promote the natural resources of the Lehigh Valley and advance the goals of Lehigh Valley Greenways. 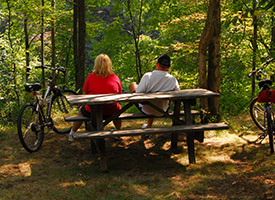 Land conservation and restoration, outdoor recreation and trail connections, community revitalization, and local education and outreach are among Greenway goals. (Municipalities) Adopt model ordinances and/or an official map to protect natural resources and improve bicycle/pedestrian connections. Implement ecological restoration projects (ex. stream habitat improvements, riparian buffers, native grass/wildflower meadows, rain gardens, no-mow areas along streams and in public parks). Host educational events, trainings and workshops that advance the goals of Lehigh Valley Greenways and involve an inclusive audience. Improve the trail network in the Lehigh Valley (ex. close trail gaps, install safety and directional signage, create safe road crossings, add trail amenities). Eligible applicants include non-profit organizations, municipalities, municipal agencies, county conservation districts, and educational institutions (colleges, universities, school districts). Projects must be located within Lehigh or Northampton County. Grant requests should be a minimum of $1,000 and maximum of $10,000 with total project costs at least double the grant request. Interested applicants can review full mini grant guidelines and fill out the online application at https://lvgreenways.org/mini-grants/apply-for-a-mini-grant/. All applicants are requested to send a representative to the pre-application meeting on Feb. 12, from 9:00-11:00 a.m. at Jacobsburg Environmental Education Center, 400 Belfast Road, Nazareth. 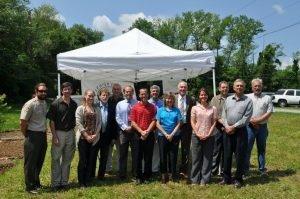 The grant program is part of the Lehigh Valley Greenways partnership, one of seven Conservation Landscapes in Pennsylvania. 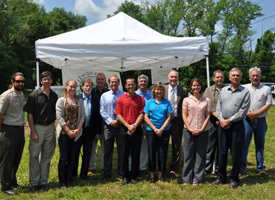 The grants are funded by the Pennsylvania Department of Conservation and Natural Resources (DCNR), Bureau of Recreation and Conservation, Environmental Stewardship Fund and administered by the Delaware & Lehigh National Heritage Corridor. Lehigh Valley Greenways mini grant funds may not be used to match other DCNR funded grant projects. For more information, please use the Contact Us form within the Lehigh Valley Greenways website.